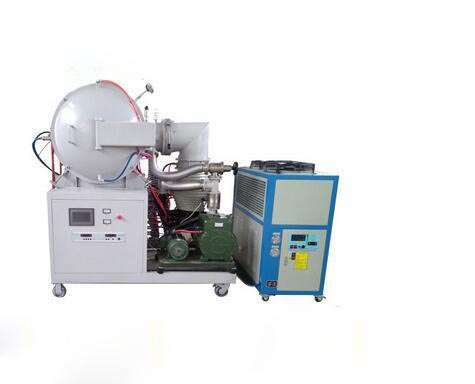 High-pressure vacuum annealing furnace is mainly used for high-speed steel, hot and cold die steel, stainless steel, flexible alloys, high temperature alloys, magnetic materials and titanium alloy vacuum heat treatment and vacuum brazing and vacuum sintering, stainless steel bright annealing. High-pressure vacuum annealing furnace heating chamber with stainless steel skeleton, heat shield multi-layer graphite felt, long life, easy to maintain. Graphite tube heater, easy to install and maintain, low failure rate. Air-cooled system has high-power high-speed motors, high-pressure air impeller, volute and baffle, copper tube and copper strip heat exchanger and other components, can be achieved with a heat exchanger air flow – fan – Workpiece – heat exchanger high-speed cycle, so that the workpiece can be fast and uniform cooling. Heating chamber can also be used all-metal structure. Electronic control system uses PLC and programmable temperature controller way to achieve fully automatic, semi-automatic, manual three control methods, flexible operation. 1, easy to operate, manual / automatic switching freely, automatic control can be fully avoided in the course of human error in the operation. 2, with a sound alarm system that can provide effective protection of the equipment. 3, for some vacuum annealing furnace processing requirements heating temperature is low, the amount of installed capacity of large, may consider the use of convection heating. To achieve the rapid heating in the tempering process, the average temperature effect is good. 4, for some tubular, elongated pieces, thin-walled parts of the annealing treatment, it is recommended to use vertical loading or bottom loading structure, which can effectively solve the deformation problem.